We can bring it on the floor, never danced like this before. We don’t talk about it, dancin' on do the boogie all night long. You never know who you're going to meet on the first day of school. Sometimes, you can end up being introduced to one of the best friends you'll ever know. 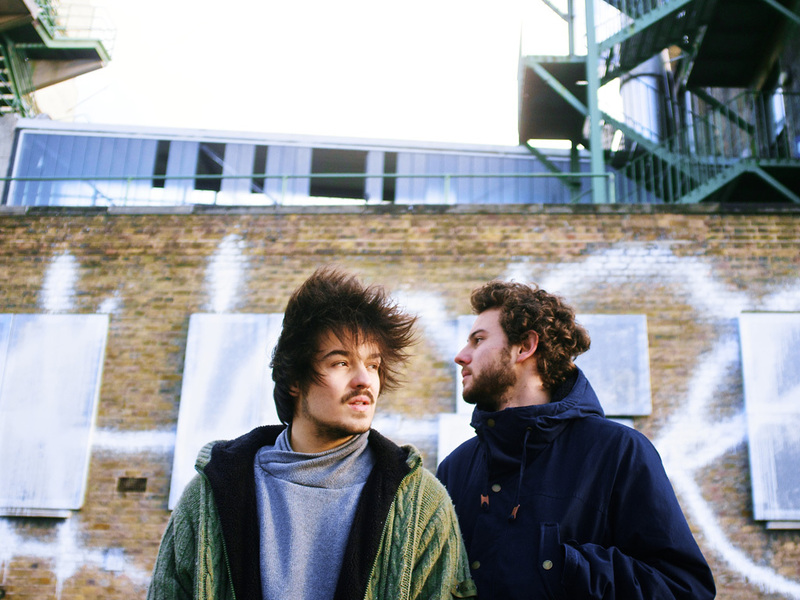 That was the case for Clemens and Philipp—otherwise known as Milky Chance. The Kassel, Germany duo met in an "Advanced Music Course" at the start of eleventh grade, and they creatively gelled right off the bat. "On that first day, you're looking around the classroom trying to see who's cool and who's not," laughs Clemens. "We clicked though. It didn't take long at all for us to notice that we got along great." They got along so great that they played in a local band until graduation. Even though the group disbanded when their drummer left Kassel, Clemens and Philipp kept on making music. Weaving together elegant electronic production with acoustic guitars and lilting, lush vocals, they harnessed a style unequivocally their own. Clemens put it best, "Think of it as the singer-songwriter spirit mixed with electronic beats. Somehow, it's always a little bit melancholy, but there's a positive spin. You can dance to most of it too! Melancholy is something that I carry within me. I write the best songs when this mood catches me.” In order to capture that, the boys built a tiny studio in the quiet house Clemens grew up in. Over the course of two weeks in 2013, they cut their full-length debut, Sadnecessary, on a minimalist setup, spending hours getting the settings just right. They didn't need anything more than a rudimentary interface, microphone, and computer. That's why Sadnecessary sizzles so much. "There was never a plan," Clemens goes on. "We only played two shows before we decided to make the album. We never bought expensive studio equipment or even hired a producer. We did what we wanted to and what felt good at the moment. We just wanted to record our music. We never thought it would go further than that." However, it went a lot further than that. After cutting the tracks, Clemens and Philipp uploaded the first single "Stolen Dance" to YouTube. With its bright handclaps, plaintive acoustic guitars, and his own gravelly smooth delivery, the song became a viral sensation, eventually racking up over 30 million-plus YouTube views and made them the "most blogged about act" on HypeM for that month. About the song, he says, "It's less of a story than a feeling. The feeling in the song refers to a certain moment I wanted to hold on to. It's the sentiment you experience when you miss somebody you really like and just can't spend time with that person. You're sad the other person isn't there, but you're also happy for the beautiful moments you've spent together." Sadnecessary, released on the musicians' own Lichtdicht Records in Europe, became a phenomenon followed by packed shows around the continent. In early 2014, Republic Records inked a deal with Milky Chance to release the record stateside, opening them up to their largest audience yet. Now, songs like "Down By The River" flow between poetic musing and delightfully danceable grooves. Clemens remains honest at every turn though. "There is actually a personal story behind 'Down By The River'," he adds. "In general it's about being in love, but there's a lot of room for interpretation. That's important to us." Ultimately, because of that emotional expanse, these songs will resonate loudly with listeners everywhere. Clemens leaves off, "At the end of the day, we're most happy when people discover our music for themselves and have fun at one of our concerts. It's just great when they listen to a song and connect it to a personal experience. That's the most amazing thing, and we'd love to encourage that."